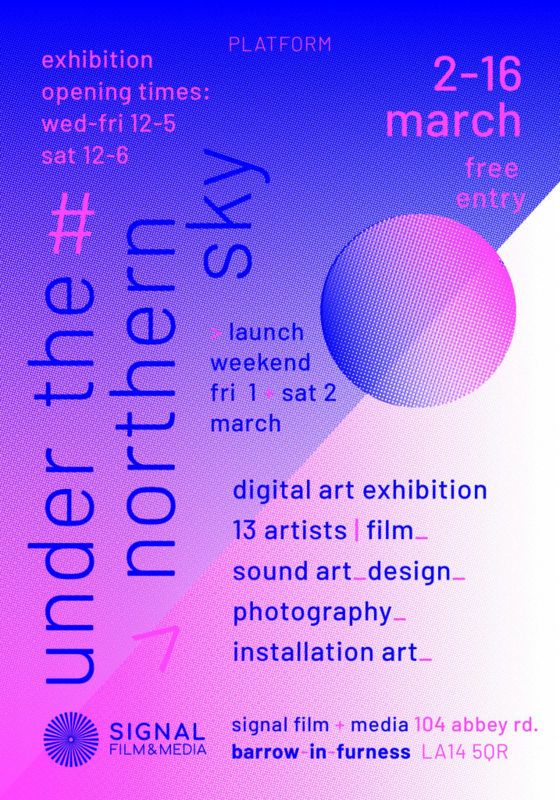 The finale of Signal Film and Media’s year-long digital arts programme Platform, UNDER THE NORTHERN SKY was a major exhibition bringing together 13 artists from across Cumbria and the North. The show will featured something photography, sound art, video projection, textiles, and large-scale interactive artworks. I exhibited a new installation called Windscale to Woomera: British Nuclear Weapons tests which explores the relationship between Sellafield in West Cumbria and nuclear weapons testing in Australia and the Pacific.